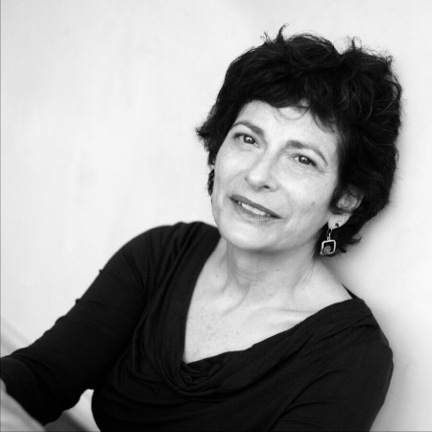 Barbara Tomash is the author of three books of poetry, Arboreal from Apogee Press (2014), Flying in Water which won the 2005 Winnow First Poetry Award, and The Secret of White from Spuyten Duyvil (2009). Her poems have appeared or are forthcoming in Colorado Review, New American Writing, VOLT, Bateau Press, Verse, Jacket, OmniVerse, ZYZZYVA, Parthenon West Review, Third Coast, Five Fingers Review, Witness and numerous other journals. She lives in Berkeley, California and teaches in the Creative Writing Department at San Francisco State University. It was not so much a decision as a circuitous and surprising path. As a young woman, I worked as an artist, painting, and doing multi-media video installations. I started working on films in my mid-thirties, which was really like beginning again. As an artist, I seemed to make it a habit to be a beginner. Which was often painful—never having full expertise—but, I was looking for something. After laboring on a couple of really bad films, I understood something funny and sad—it was harder to make a bad film than a good one; no matter how much “production value” you brought to it, without a good script, there was no hope. So, as a practical thing, I thought I’d try to write a screenplay. But, it turned out that what I wanted to write was all the narration, the descriptive details, the inner thoughts of the characters, all the stuff you are not supposed to put in a film script. It was then that I wrote my first couple of short stories and enrolled in graduate school to study short story writing—once again, I was really a raw beginner—what a demanding and beautiful form the short story is! Out of curiosity, I took a poetry class—I had never written a poem—and I fell for poetry hard, even obsessively. I remember the tactile sense I had with the very first poem I attempted, transfixed by the endless options and permutations possible in “breaking” lines. That sharp focus and concentration on form was a continuation of what I had been doing as a visual artist—the experimentation, the sense that a poem was an object, made out of language patterns and play, yet full of ideas, of thinking on the page that wasn’t necessarily struggling to tell anything. I hadn’t felt that thrill of the malleability and physicality of language when I was writing short stories. Do other genres interest you or do you mainly write poetry? The five poems of yours published in Silk Road take on different forms. Some are prose poems, while others are broken with lines and stanzas. How do you choose what form to use for your poetry? Do you choose the form first? Does the poem lead you to the form? Such an interesting question. And one that preoccupies me as I work on my latest project, a book-length series of poems, each one spinning out from dictionary definitions for words beginning with a particular prefix. All the language is found—but, fractured and juxtaposed with a free-hand, freewheeling approach. Although the poems are created by a consistent process using the same source material, they are arriving in a variety of forms. At this point, poem by poem, form is intuitive and highly experimental—I try out things. But, as I put the poems together as a book, I will become more intentional about formal choices and do a lot of further revision. The poems published in Silk Road are all from my most recent book, Arboreal (Apogee Press 2014). For the poems in Arboreal I was looking out the window, and I was listening. I was inspired by how small changes appear to us, what a particular instant of transition looks like, feels like. Often, I was writing at my window just as day turned into evening and then became night. I was arrested in movement—a paradox—the motion of my thinking contained in the view out the window. Light and thought began to feel similar, and I think it was that movement which inspired the poems forms. Where did the inspiration for your poem, “Flight”, come from? Thanks for asking about this particular poem, which is the final poem in Arboreal. It is also one of the first poems I wrote for the book, and so it led the way—though it was a way I eventually had to lose in order to find the book. Which brings me to the idea of navigation and the inspiration for “Flight.” The poem was started one evening when I was writing in a noisy café with some fellow writers I work with regularly. We give each other prompts, usually from books we happen to be reading, and then we free write together. One of us read something aloud—it may have been from a scientific study—I could barely hear her in the din of the café. But a small and moving fact came across—migratory birds flying over thousands of miles of oceans, mountains, and rivers sense shifts in the earth’s magnetic field by relying on tiny iron particles in their beaks—almost undetectable, the infallible compass by which they navigate home. But how do we humans find our way—dizzy, reeling—with body our imperfect compass?